Once in a while a CD comes along that’s thoroughly new, but comes across as a throwback from another time. 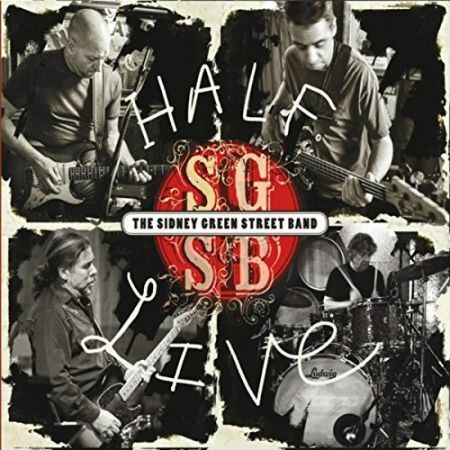 That’s the case for Half Live, the third release from a quirky band of American-based music veterans who chose to name themselves in honor of Sydney Greenstreet, the legendary British actor who starred in Casablanca and The Maltese Falcon. 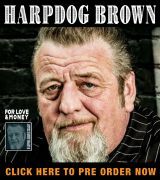 While not pure blues by today’s standards, this collection hastens back to the late ‘60s or early ‘70s, when The Spencer Davis Group, The Allman Brothers, Van Morrison and others were producing one hit after another infused with blue-eyed soul. Sidney Green Street is a tight four-piece ensemble fronted by Lance Doss, a top-notch guitarist and vocalist who’s worked with Welch legend John Cale, Deepak Chopra and others in a career that began in the mid-‘90s. He splits six-string duties with Justin Jordan, a veteran of Garland Jeffreys’ band. The rhythm section consists of British percussionist Steve Holley — who’s worked frequently with Poppa Chubby as well as Ian Hunter and Joan Osborne after a long stint with Paul McCartney’s Wings and time with Elton John and Joe Cocker – and bassist Paul Page – who’s spent extensive time with Robin Trower and spent time with Chubby, Hunter and Gary “U.S.” Bonds. As the title suggests, Half Live – pegged for indy rock in iTunes — is just that. It opens with six songs recorded in studio and finishes with a run of six more captured at The Great Notch Inn, a venerable biker bar in Little Falls, N.J., that serves as the band’s unofficial home base. The guitars soar to open “Muscle Shoals,” a sweeping, soulful tribute to the studio in northern Alabama that produced albums for Wilson Pickett, Lynyrd Skynyrd, The Rolling Stones, Cocker and many, many others. Doss knows the studio well, having grown up a short drive away in Birmingham before earning a degree in music at the University Of Alabama. The red-clay feel continues with the steady-paced “Last Beer And Testament,” which is delivered from the position of a man who’s been spilling his guts all day to someone who hasn’t been listening. He’s going to have one more drink before heading on his way. “One Alone” is an affecting, guitar-fueled ballad that deals with the fact that no one can teach you how to live after a lover says a final goodbye, while “Next Time” is a Southern rocker that features some tasty six-string interplay as it recounts the singer losing his nerve to make his move after taking his girl home after a high school dance. The feel continues with the bluesy ballad “Don’t Make That Girl Cry” and the driving boogie “Stayin’ All Night” to bring the studio portion to a close. The live set keeps the feel going with “I Belong” and “Miss Understood” before evolving into something with a harder edge for the driving “Bad Bad Way” and “Man On A Mission,” quiets briefly for the intro to “I Ain’t Sleeping With The Lights On” and finishes with “Rock Star,” all of which hint at Southern soul but delve more into rock – not necessarily in a bad way. 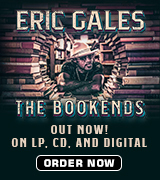 This album may not suite blues purists. However if you lived through the early era of The Allmans or are younger, but still have a love for the music today, you’ll enjoy Sidney Green Street. 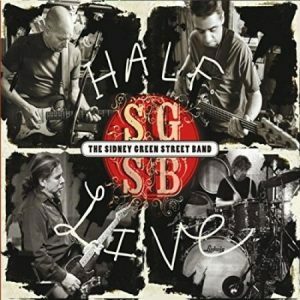 Half Live is available through most online retailers.